When we say Easter we immediately think of chocolate eggs. This is in fact the period in which chocolate is the undisputed protagonist and the egg becomes a symbol, indispensable for celebrating this anniversary. However, chocolate eggs are not all the same. Those who choose the crafted ones by Gran Caffè Gambrinus know this very well, because compared to all the others they have an extra gear. The handmade eggs, compared to the packaged eggs, are obviously made with a more prized chocolate, choosing them, in addition to deciding the taste that you love the most, you have the possibility, sometimes you can even customize the surprise that the egg must contain. Who of you, at least once in your life, opening the Easter egg was not disappointed by the surprise? Let’s imagine the answer already. With this solution, success is practically guaranteed. But not only. The artisan eggs, compared to those packaged as we said, have an extra gear also in terms of presentation. They, thanks to the mastery of chocolatiers, become real culinary jewels, perfect gifts to give to those you love and to wish a happy and peaceful Easter. For some years, the Gran Caffè Gambrinus, to meet the needs of those with limited time, or simply to satisfy online shopping lovers, has decided to focus on sales through its website, its delicacies and even the Easter treats are no exception. 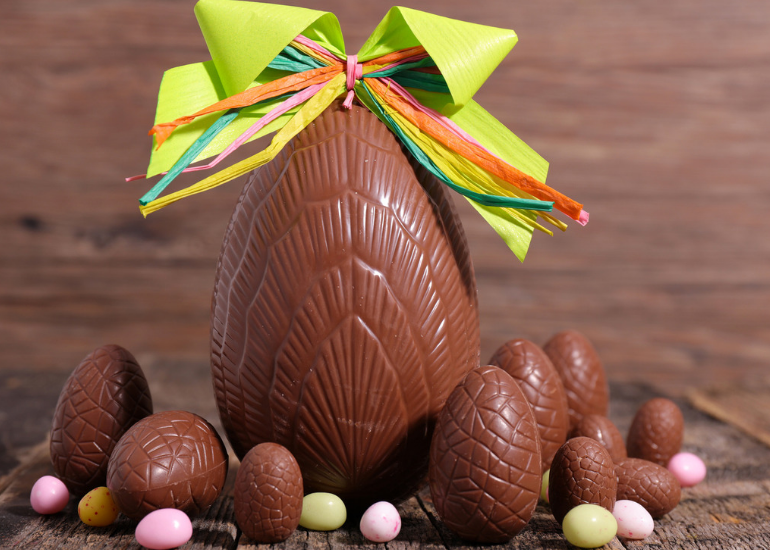 In addition to pastiere, colombe, tortani, even chocolate eggs become the perfect products to order even while comfortably at home with a click. The delivery then is a guarantee, and it is possible to agree on it, so everyone can have these specialties just in time for the Easter lunch. Easter is almost upon us and you’ve already decided how to prepare your tables?